Everyone knows what a first aid kit is. We’ve all seen them. We’ve all used them. Convenient boxes containing the basic tools needed to treat medical emergencies: bandages and antibiotic ointments for cuts, cold compresses for burns, aspirin for headaches and inflammation. I noticed one right around the corner from my desk in Beacon Health Options’ State Street office in Boston. It’s good to know it’s there. If I’m ever in need of medical attention at work, the items I need are readily accessible. If one of my coworkers ever has a medical emergency, I am confident that I have the basic skills to help that person. But what if someone were to have a psychiatric emergency? Would others even know it was happening? Would anyone know what to do? Are there ‘tools’ to help someone in psychiatric distress? Beacon Health Options wants its employees to know the answers to these questions. As part of the company’s inaugural efforts for a companywide Zero Suicide campaign, Beacon is initiating Mental Health First Aid (MHFA) training in 2017 to ensure employees can do just that. 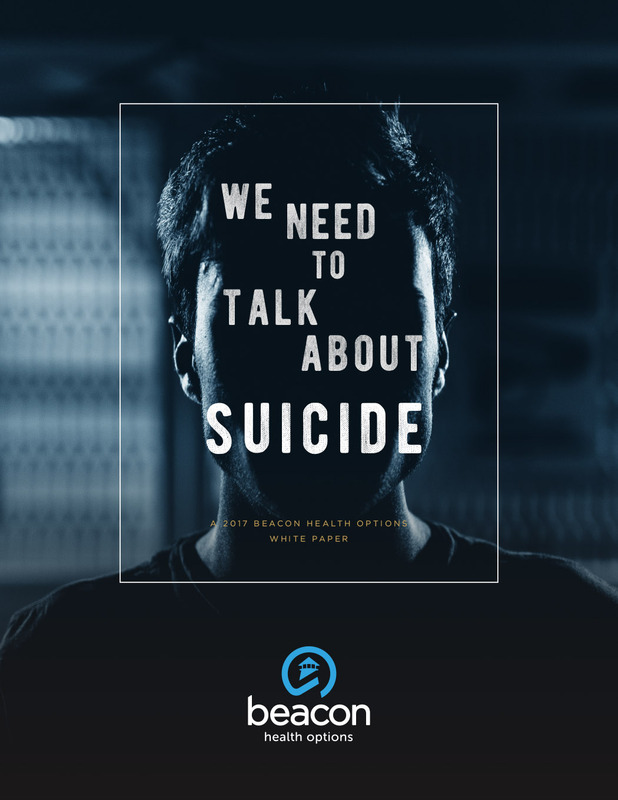 To learn more about Zero Suicide as an evidence-based approach to suicide prevention and treatment, read Beacon’s White Paper, “We Need to Talk About Suicide”. What is Mental Health First Aid training? MHFA is a program designed to provide non-clinical people with the tools to understand mental illness so they know how and when to intervene in the event of a crisis. While physical health ailments are more easily recognizable, mental health problems are often more difficult to detect. Further, treatments for medical ailments are usually straightforward, but treatments for mental illness often vary from person- to-person and by situation. For these reasons, training is necessary to ensure people are well equipped to steer those people in need in the right direction. Beacon’s training efforts are starting with the audacious goal of training every employee in New York state. That amounts to nearly 900 employees! In Colorado, the Beacon team has already taken the initiative to train its own staff as well as individuals in the community. MHFA is an eight-hour course that teaches participants about risk factors and warning signs of mental illness; symptoms of specific illnesses; techniques for intervening with someone in crisis; and resources available to those in need. No background in health care or behavioral health is required; anyone can participate in the course. Some participants go on to become certified MHFA instructors themselves. MHFA started in Australia in 2001 and came to the US in 2008. In January of 2013, nearly 100,000 Americans had been trained through a network of 2,500 certified instructors. Training has increased exponentially since then; recently the National Council for Behavioral Health trained its 1 millionth person! Beacon’s training efforts are starting with the audacious goal of training every employee in New York state. That amounts to nearly 900 employees! In Colorado, the Beacon team has already taken the initiative to train its own staff as well as individuals in the community, including local school districts, hospital systems and library staff. We plan to build on this work and expand MHFA training to more Beacon employees across the country in the coming year so stay tuned for more information about this training as we roll it out. MHFA is planting mental health human ‘toolkits’ all over the country – regular people who are prepared to help others experiencing a mental health crisis. While these toolkits aren’t as visible as the first aid kit near my desk, they are all around us in growing numbers. We can all feel good knowing they are there.